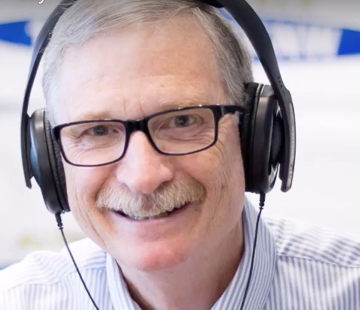 In this podcast, we meet one of the Northwest’s leading experts on Social Security benefits, Andy Landis. And he describes his upcoming 2-hour free seminar at the Bainbridge Island Museum of Art Auditorium on March 22nd: “Social Security 101: Avoiding Myths and Mistakes”. 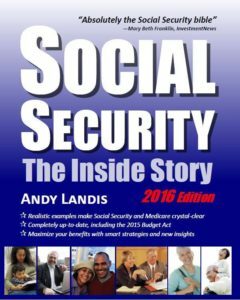 Andy Landis, doing a recent podcast about Social Security benefits. The informative session — part of a community seminar series on financial education — is generously sponsored by the Bainbridge Community Foundation and the Merriman Financial Education Foundation. Andy’s talk and slides will start at 6:30pm that Wednesday evening, but it’s advisable to arrive early because the comfy auditorium seating is limited. In this podcast, Andy shows his insights and practical knowledge, gained through a professional career at AARP, the Social Security Administration, multinational companies and as a Seattle-based consultant. The ABCs of how Social Security works for you and your family. How to get every dollar you have coming, without bureaucratic bother. What payments to expect for a spouse (working or non-working), former spouse or children. The bottom line on career changes, early retirement, switching to part-time, or starting a business. Options for saving Social Security for future generations — or your own. Andy is optimistic that the valuable and vital program can be saved and sustained. As a special feature, the session will conclude with a brief talk by Paul Merriman, a Bainbridge retiree who is a nationally-known investment guru and the mainstay of this financial education series, speaking on the interplay of Social Security benefits and your investment planning.